If we continue to consume the way we do then forests, oceans and weather systems will collapse. As world leaders gather in Davos this week to discuss how to better shape our future through strengthened cooperation, it’s imperative to also focus on how to prevent the health of our planet from failing. This is not “doom and gloom” – the risk is real. A main theme this year’s World Economic Forum Annual Meeting is the role of technology in solving the world’s biggest problems. We are already embarking on a new phase of technological revolution that will fundamentally change the way we live, work, relate to one another and interact with the external world. The speed, breadth and depth of current breakthroughs has no historical precedent and is disrupting almost every sector in every country. The challenge and opportunity before us today is to begin to think of development through the lens of environmental health. The environment as a primary concern, not an afterthought. The science has never been clearer. We know the impact, the consequences and the unsustainability of our development model. As we continue to connect in new ways, we must also reconnect to Earth. The undeniable truth is that we continue to do great damage to the planet, and that we haven’t learned how to grow our economy without harming nature. More than technology, doing so will take a fundamental shift in mindset – one that will redefine our relationship with the planet and its natural systems. No human technology can fully replace “nature’s technology”, perfected over hundreds of millions of years in delivering key services to sustain life on Earth. A productive, diverse natural world and a stable climate have been the basic assets at the foundation of the success of our civilisation, and will continue to be so in future. A fundamental issue in the previous technological revolutions has been the lightness with which we have taken for granted the natural environment rather than valuing it as a condition necessary to development. If we continue to produce, consume and power our lives the way we do right now, forests, oceans and weather systems will be overwhelmed and collapse. Unsustainable agriculture, fisheries, infrastructure projects, mining and energy are leading to unprecedented biodiversity loss and habitat degradation, overexploitation, pollution and climate change. While their impacts are increasingly evident in the natural world, the consequences on people and businesses are real too. From food and water scarcity to the declining quality of the air we breathe, the evidence has never been clearer. We are, however, in many instances failing to make the link. We act as Homo technologicus, with the mindset of our hunter-gatherer ancestors. Alongside the technological revolution, we need an equally unprecedented cultural revolution in the way we connect with the planet. Every day, new evidence of our unsustainable impact on the environment is emerging. A destabilized climate generates more frequent and deadly extreme weather. 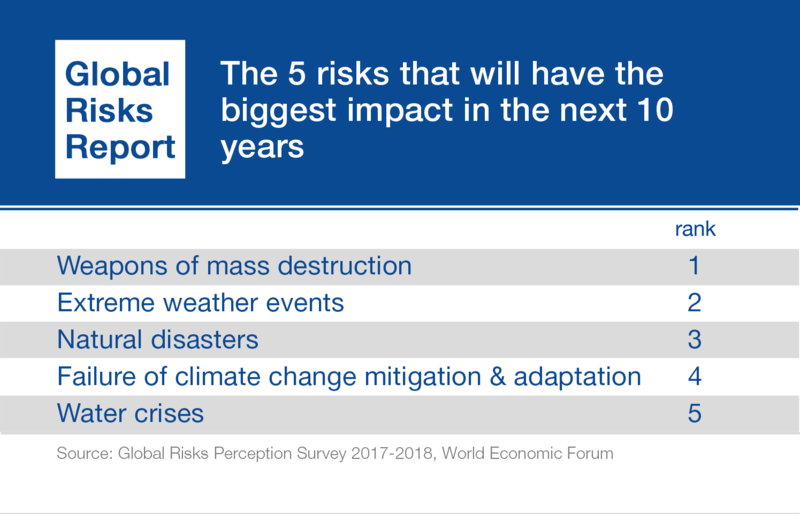 The last five years have been the warmest five-year period on record, while the Arctic warmed much faster than predicted and the UN estimates that, in the last 10 years, climate-related disasters have caused $1.4 trillion of damage worldwide. In just over 40 years, the world has witnessed 60% decline in wildlife populations across land, sea and freshwater and is heading towards a shocking fall of two-thirds by 2020. This has happened in less than two generations. Forests are under pressure like never before, through unabated deforestation. 170 million hectares of additional deforestation will occur by 2030 – the size of Mongolia – driven by large- and small-scale livestock farming and soy and palm oil production. Our oceans are under great stress. We dump plastic and toxic chemicals into the sea, poisoning our own food. We catch fish wastefully and unsustainably, with 90% of the world’s fish stocks overfished. We’ve lost 50% of the world’s coral reefs in the last 30 years. In a generation, the world has lost nearly half of its marine species populations. It matters because we can’t have a prosperous future on a depleted planet, and all signs are pointing to human activity driving the Earth to the edge. Biodiversity – the complex web of life made by millions of species, plants, bacteria and fungi – underpins the natural systems that we take for granted; systems that provide us with the air we breathe, the food we eat and the water we drink. It maintains the ecosystems that society needs to thrive, ensuring access to essential raw materials, commodities and services. The unprecedented loss of biodiversity we are seeing today is an existential threat to human life and economic development. If the biodiversity index were considered akin to the stock market, our planet would be heading for a spectacular crash. There’s also an economic value to biodiversity loss. WWF assesses the value of key ocean assets at $24 trillion, and that’s a conservative estimate. If compared to the largest national economies, the ocean would rank seventh, with an annual value of goods and services of $2.5 trillion. Too big to fail, you could say. Regular access to quality freshwater is also vital for most businesses and industries – in manufacturing, heating, cooling, cleaning or as an ingredient. Having too little or too much, or water that’s too dirty or too expensive, will have an impact on bottom lines. 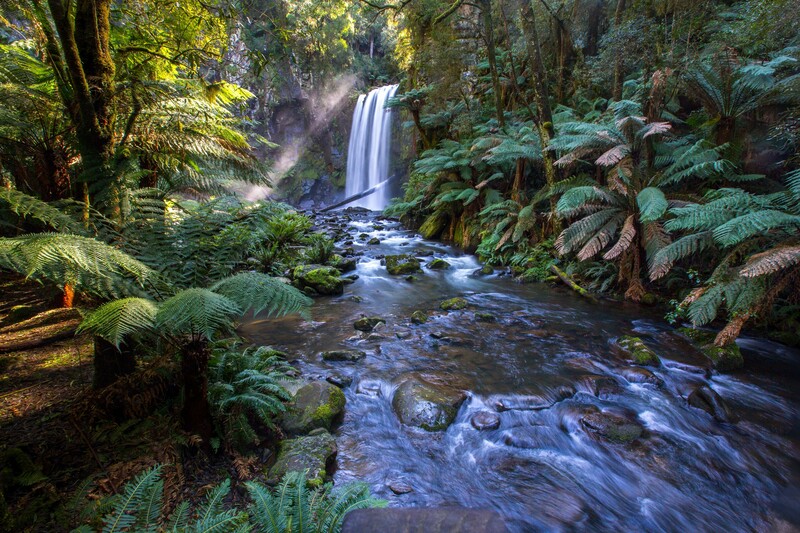 Conserving forests, the ocean and wildlife is in everyone’s interest for sustainability and our own prosperity. That’s why now is the time for businesses, governments, institutions and civil society to work together to halt climate change and the devastation of nature. Our civilisation finds itself at a crossroads. The equation is a simple one: we will not build a stable, prosperous and equitable future for humanity on a degraded planet. 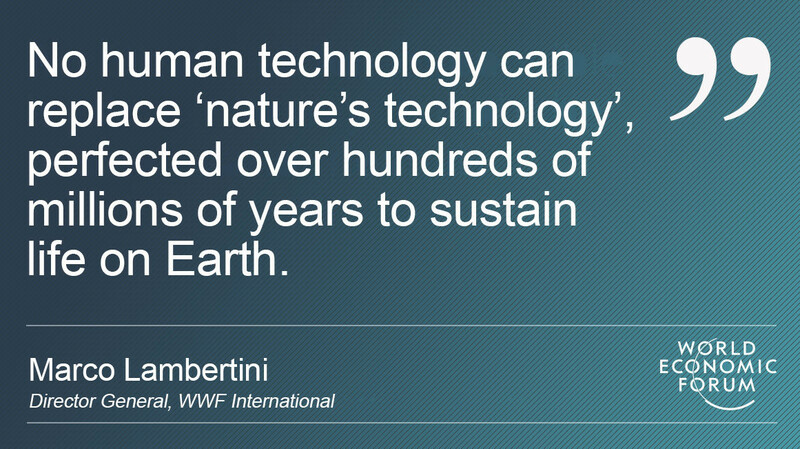 Technology will no doubt change our lives and we are already seeing breakthroughs in conservation. The renewable energy revolution is probably the most impressive example of the positive impact of new technologies. Remote sensing technologies allow to monitor the state of the planet like never before. Blockchain is being used to establish systems of certification and traceability for agricultural commodities and fish so that consumers can be assured of their origin, legality and sustainability. Financial institutions have a huge role to play. The banking sector at large is failing to redirect financial flows away from environmentally and socially destructive business practices, and importantly not yet tapping into growth opportunities needed to finance the transition to a sustainable economy, whether they are renewable energy or sustainable water projects.